I’m planning on creating my dream back yard (well, more like a scaled down version of it) this year, with lots of gardens, potted herbs, lounge seating & string lights…So I’ve already started thinking about layouts, styles and elements I’d like to include. One definite element will be lots of old, French country looking pottery. 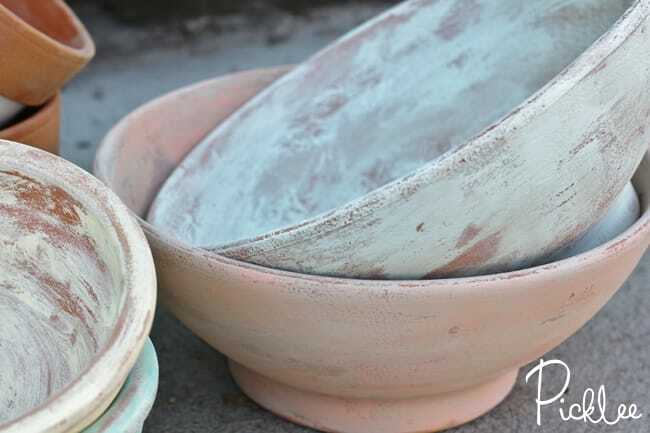 I absolutely love the look of simple & natural pottery that’s withstood the test of time, the tough part is getting my hands on these sought after pieces (at a reasonable price)! I’ve found plenty of beautiful, old pottery at cottage & garden shops, but the prices are just outrageous. 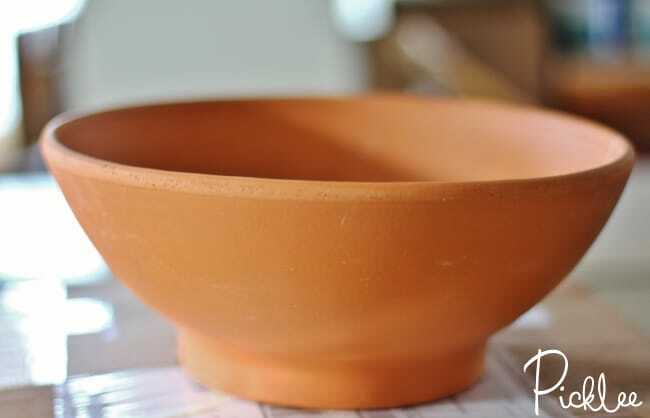 So, as usually I decided to make my own DIY French Country Pottery! 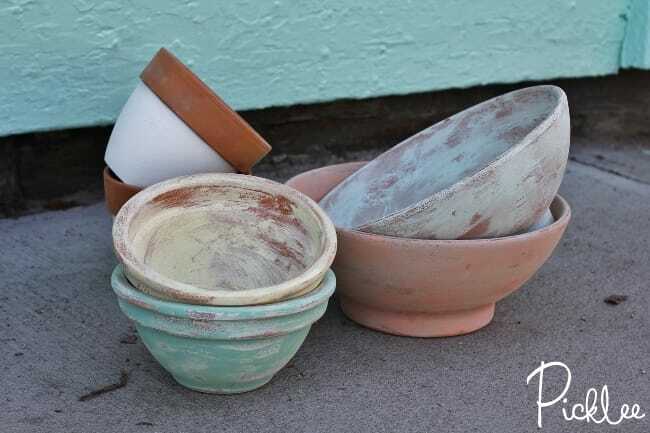 The idea of these weathered looking pots is that they aren’t supposed to look “perfect”. This means you can really do anything when it comes to painting them! 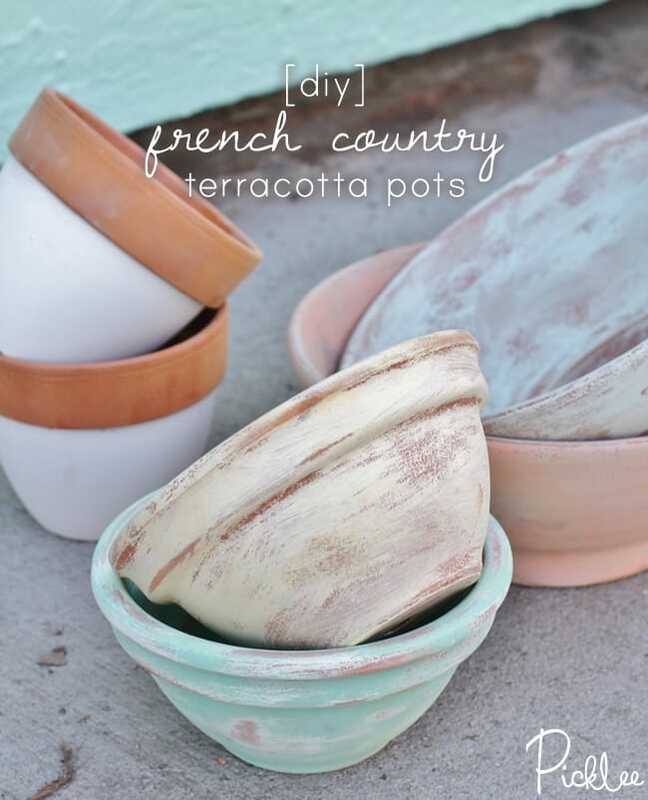 Finally, I sealed my DIY French Country Pots with Americana’s Ultra-Matte Varnish. 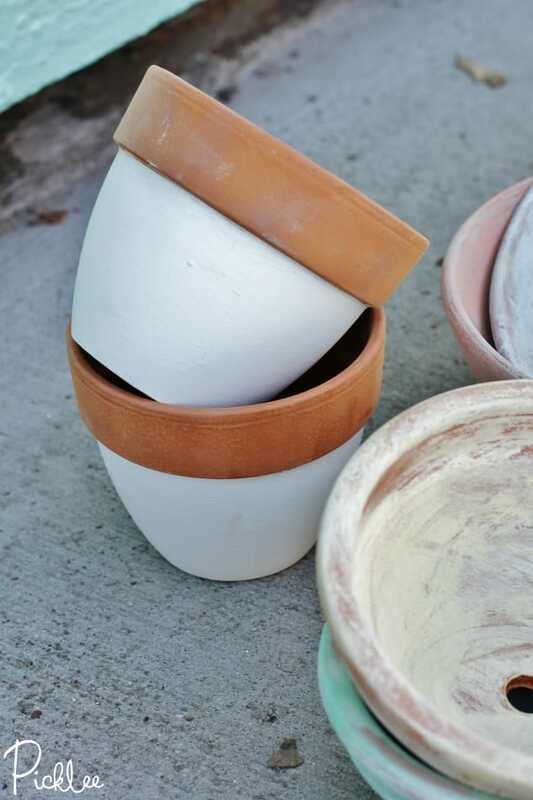 I wanted the pottery to have a very natural, matte finish. I painted the rest of my pottery using different color combinations like Everlasting with Delicate, and Vintage with Timeless. 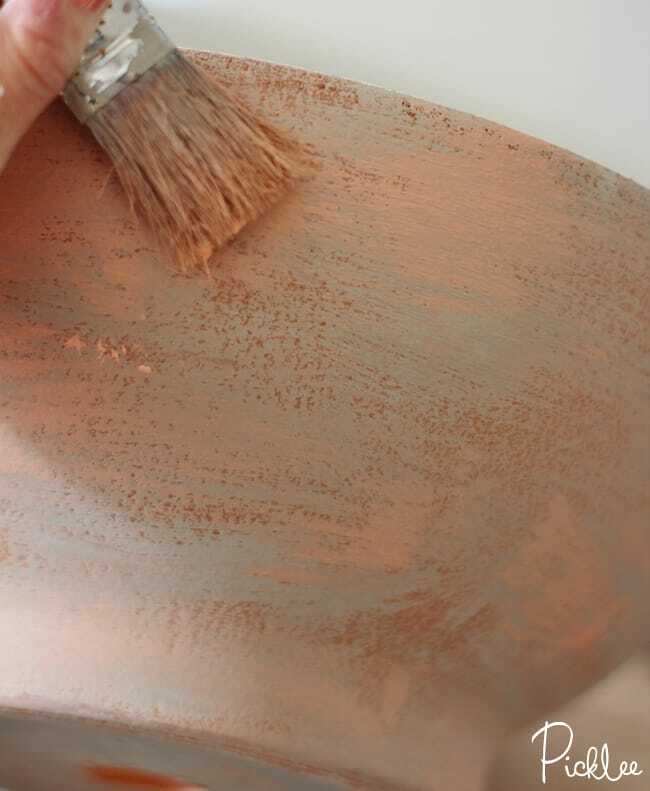 Find more DIY home decor here! If you use minwax polycrylic finish it will help it stay on. I want to know what, if any, the effect of planting real plants in them has on the finish. If you’re going to use them for planting should there be some kind of sealant on them? The ones to the left are my favourite since they look finished. I am not a fan of the weathered look.